On May 25, 1977, Star Wars opened in 32 theatres in Los Angeles, San Francisco, and New York. A long line snaked outside of Mann’s Chinese Theatre, marking its biggest opening day in its 50 year history. Before the week was up, Star Wars was a certified hit. Thirty nine years later and the Star Wars universe is still going strong with no signs of slowing. With 7 movies released and at least 4 more on the way, that one spectacular movie spawned a franchise comprised of movies, television shows, comics, toys, games, clothing, art, and so much more. For the last four years, one day in October has been dubbed Star Wars Reads Day. Through a series of fun events, the annual celebration has been used to promote reading by encouraging Star Wars fans of all ages to take advantage of the over 500 books, graphic novels, and digital stories available about the world of Star Wars and its characters. Due to the overwhelming success of Star Wars Reads Day, 2016 marks the first ever Star Wars Reads Month. The expansion of this campaign means that there are now more opportunities than ever to encourage literacy and explore alongside Luke Skywalker, Princess Leia and Han Solo. 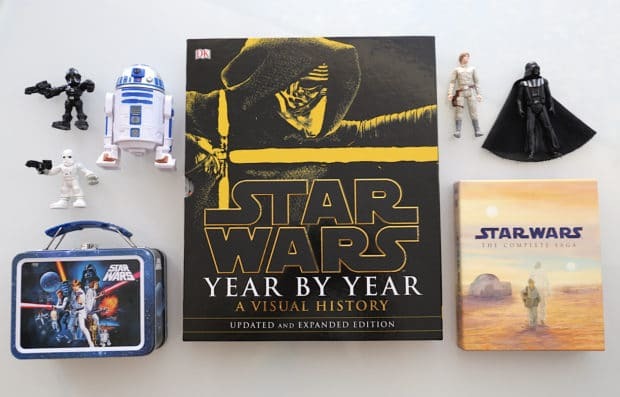 The ultimate read for Jedi fans this October is Star Wars Year By Year: A Visual History (DK Publishing, 2016). This gorgeous coffee table book tells the story of the Star Wars franchise from its inception to where we’re at today with the upcoming Star Wars: Rogue One. The book is divided up into 6 chapters, each covering a different period in the history of the franchise. Readers are also given a timeline providing fans with a fun way to learn about history while getting your Star Wars fix at the same time. 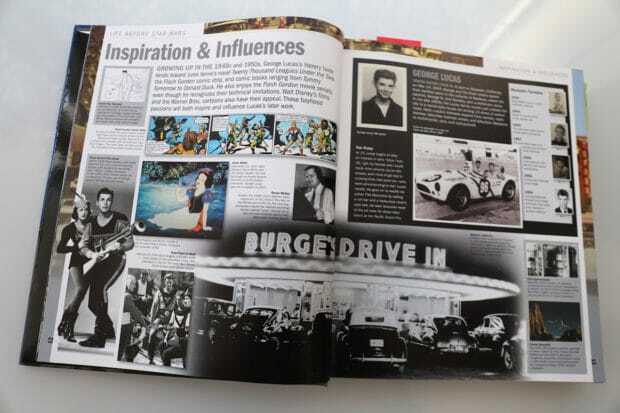 One of my favourite sections of the book looks at the life of George Lucas leading up to his creation of the Star Wars story and the inspiration that got him there. There are plenty of pictures and art (and even two detachable prints) to help bring this must-have collectors item to life. The book itself comes in a gold and black embossed sleeve making it a definitive focal point on any tiny table or overstocked shelf. The first Beta VCR was released as a console with a 19″ television for $2,495 in May of 1975. 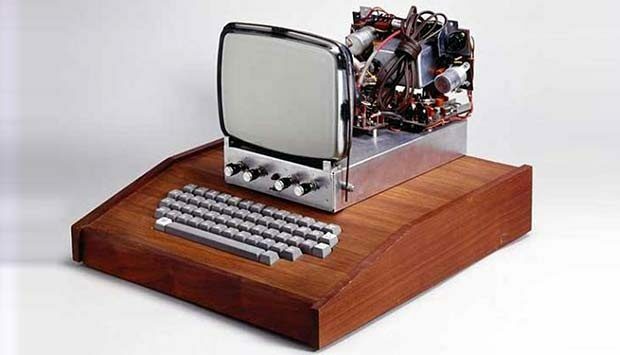 The first Apple Computer was sold in July 1976 and cost $666.66. April 10th, 2015 saw the release of the first 6 movies for digital-only HD release. These are just some of the technology tidbits you’ll find in the book. Lucasfilm, while known for the science fiction elements in its movies was also a key adopter of new technologies and incorporated newly- developed technology in the filming of their stories and merchandise. With the release of the first Star Wars movie, we saw the first of thousands and thousands of Star Wars-related toys. There have been masks, board games, and figurines. There have been video games, computer games, LEGO sets, and dolls. There have even been replica light sabers. 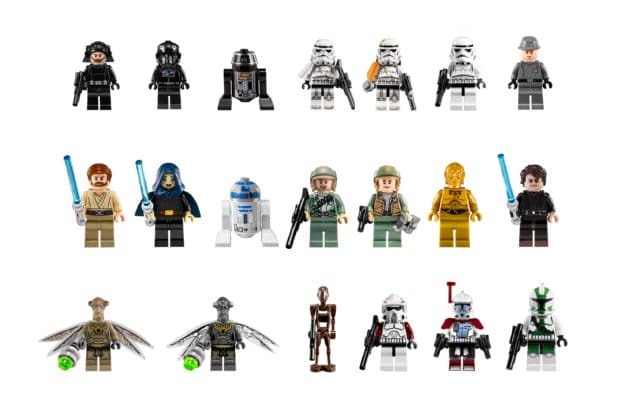 Star Wars: Year By Year provides readers with exhaustive examples of every Star Wars toy ever made. March 8th, 1977 saw the first issue of Marvel’s six issue adaptation of Star Wars. Since this was before the actual release of the movie, the writer and artist only had the screenplay and limited visual references to work with. While the studio executives didn’t think there was much value in the series, the issue quickly sold out. 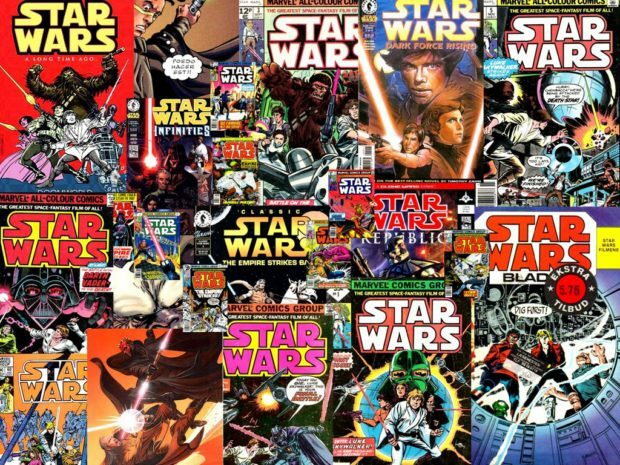 This 6 issue series turned into 107 issues and from there, over 100 different Star Wars-related titles have been published. Star Wars Year By Year covers the history of Star Wars comics as they evolved from a mini-series to a comic mainstay. Han Solo’s black vest and white shirt combo, Poe Dameron’s orange jumpsuit, Princess Leia’s hair buns, or even the storm trooper mask, these are all iconic fashion elements of Star War’s lore. The impact that Star Wars has had on the world extends beyond science fiction. Mark Ecko had a Star Wars-inspired collection in 2007. 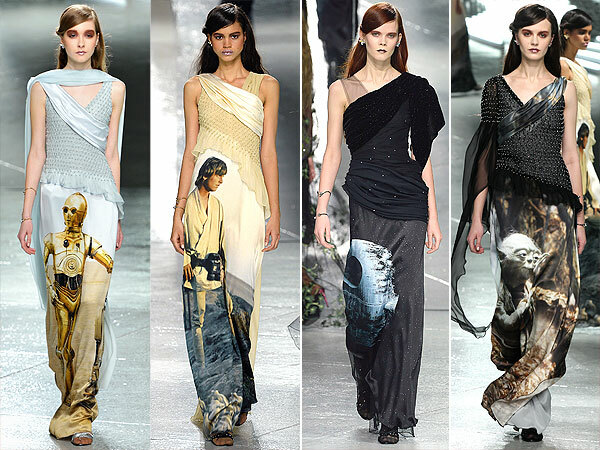 Luxury brand Rodarte featured Star Wars-printed dresses on its runway in 2014. Clothing emblazoned with Star Wars images and iconography has become a common site and not just amongst cosplayers. Star Wars Year By Year is jam packed with art, some of it directly related to the movies like storyboards and concept art. But that’s not all, this book has many other examples of Star Wars-inspired art like Lucasfilm’s annual Christmas Card spread on pages 72 and 73 or the various book covers found within. My favourite, however, is the pages covering the Vader Project. First seen at Star Wars Celebration IV in 2007, 100 contemporary artists were given a scale replica of Darth Vader’s helmet to customize. 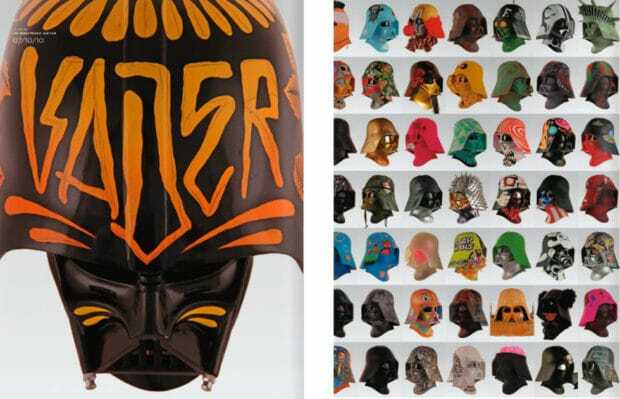 The book has a selection of these masks on display that would actually make a great wall print.